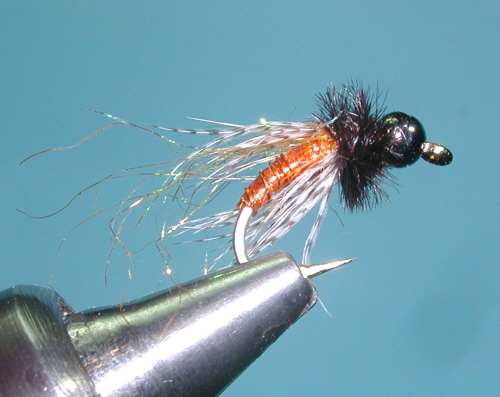 "In summer, if I had one fly to fish the Truckee River it would be my G-6 Caddis Pupa. In green, or tan, sizes #12-#16, it catches fish faster than any other fly, like a G-6. The Truckee has an insane amount of caddis, usually by early summer, fish start feeding with reckless abandon on them. Fish it deep, on the swing, or off the back of say an elk hair caddis. 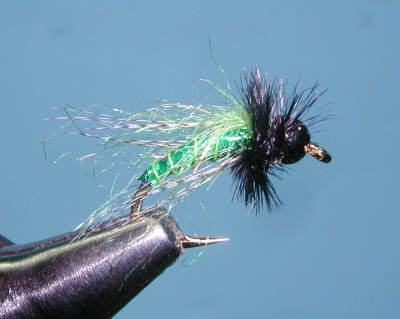 It's a cross between Barr's Graphic Caddis, and the best and most famous pupa ever, Lafontain's Sparkle Pupa. Some shops got em, but they will go global this fall from Solitude Fly Co. Fish are on the pupa as you can see in these shots from the last few days."